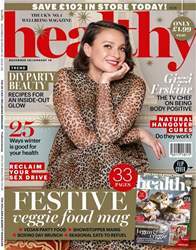 Digital Subscriptions > Healthy Magazine > Dec/Jan 19 > CAN I DRINK AND STAY HEALTHY THIS CHRISTMAS? PIP BLACK is the co-founder of gym chain Frame. Use code HEALTHYFRAME for 50 per cent off a class at any Frame studio. Visit moveyourframe.com*.